Home Actors Rajinikanth and Akshay Kumar’s 2.0 to beat all records of Baahubali 2? Rajinikanth and Akshay Kumar’s 2.0 to beat all records of Baahubali 2? 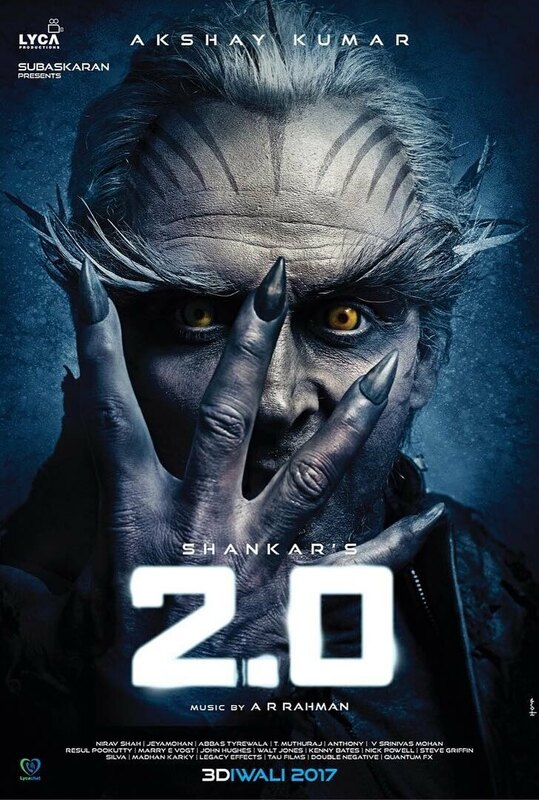 Upcoming science fiction film, 2.0 is a sequel to the 2010 Tamil film Enthiran, and features Rajinikanth in lead roles of Dr. Vaseegaran and Chitti. It also stars Akshay Kumar and Amy Jackson in important roles. The film will have a simultaneous release in Tamil, Telugu and Hindi. It’s estimated budget is of Rs. 450 crore. It is the most expensive Indian film to date. Akshay Kumar is to play the role of a villain, going by the first-look poster. Written and directed by S. Shankar the movie also stars Sudhanshu Pandey, Adil Hussain, Kalabhavan Shajohn, and Riyaz Khan in supporting roles. Made on a very high budget the film is said to beat the records of Baahubali as well. Prabhas’s Baahubali 2: The Conclusion collected more than Rs. 1000 crore in just two weeks. Now it will be intriguing to see if Rajinikanth’s 2.0 can beat that score! So of-course, a Rajinikanth film has to be super hit. Rajinikanth, himself is a big brand in Indian Cinema and he is the best in Tollywood. Robot, released in 2010 was a blockbuster film. 2.0 is a sequel to the film Robot. It starred Rajinikanth as Dr. Vaseegaran (hero) and Chitti (villain) and Aishwarya Rai as the lead heroine. 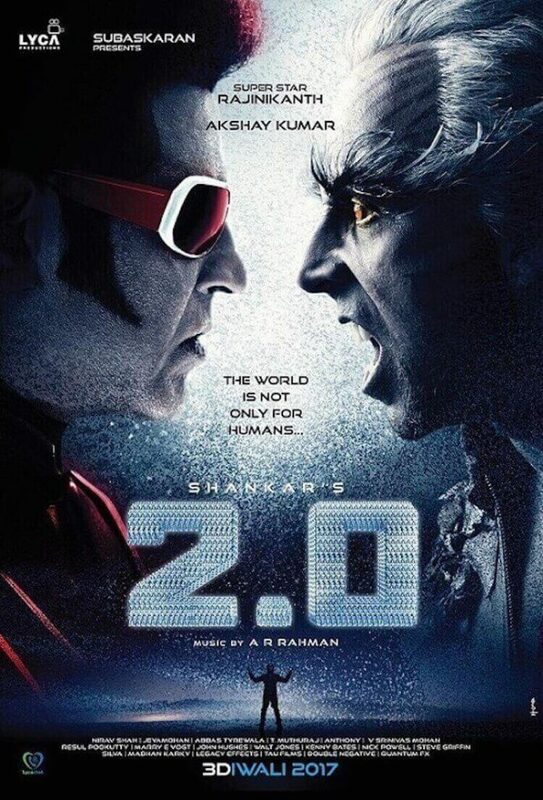 By the looks of the poster, it seems that Akshay Kumar is the villain of the film. He is unrecognisable in his fierce evil look. Akshay will make his debut through this film in Tamil Cinema. 2.0 India’s biggest Sci-fi thriller till date! So it is expected to be the best sci-fi thriller of Indian Cinema. The graphics, special effects and vfx is reportedly at par with that of Rajamouli’s Baahubali 2! Nirav Shah is the DOP of the film and Anthony, the editor, both of them being first rate technicians in Tamil Cinema. Also A.R.Rahman and Resul Pookutty, the Oscar Winners will compose the soundtracks for the album. 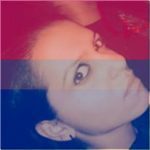 Previous articleKangana Ranaut to act only in films directed by her? Next articleVIDEO - Phir Bhi Tumko Chaahungi by Shraddha Kapoor from Half Girlfriend is Out!